In the fall of 2014 SageTea was approached by a global defense company to assess SageTea’s Text to Software Platform in developing an Army Mission Planning Tool for system management. 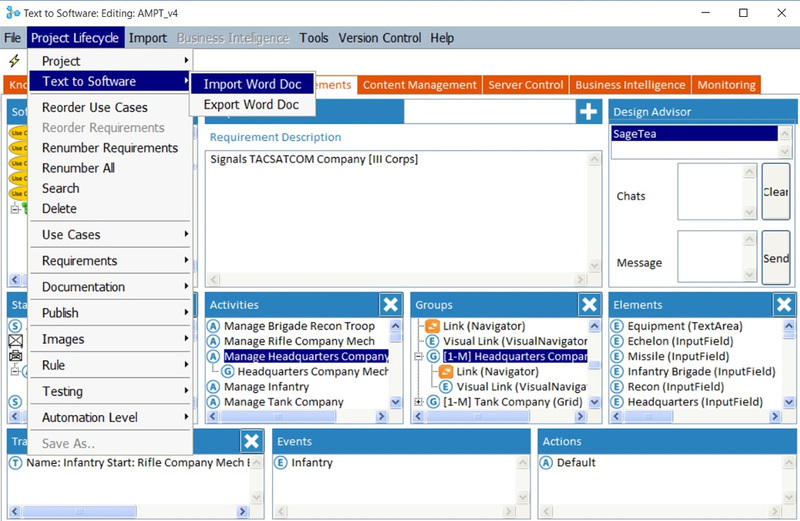 From a business perspective, the defense company wanted to understand whether using SageTea to develop software will result in reduced life cycle costs compared with their own existing development approach.Ideally, the mission planning tool would allow an Army planner to upload orders and supporting documentation, enter minimal additional information, and produce an output file that could be used to configure the operational Network/Communication System. Such a tool could provide a useful outcome to the Army, namely increasing mission speed and/or accuracy. System Management involves many different aspects and Network/Communications Systems can be extremely complex. 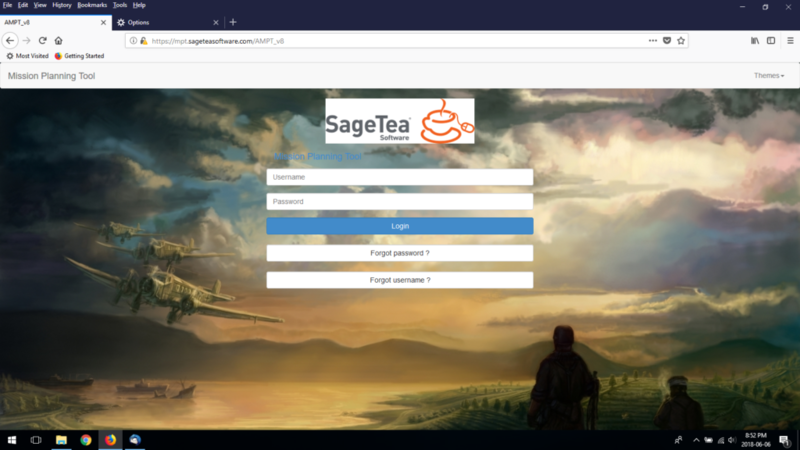 As an initial step the company proposed that SageTea create a system management solution for a (hypothetical) simple communications system comprised of COTS/MOTS equipment and software, where the equipment and software come with vendor-supplied tools for performing certain system management tasks. SageTea was provided with the system requirements in text form. Using Text to Software, SageTea developed a prototype of the system management tools required by an operator to provision and control – in real time – assets in a military theater. SageTea also provided the underlying source code and related artifacts that were used to generate the software to enable the company to understand the complexity and level of effort required to develop using SageTea. The entire work effort was less than 1 man month. Using standard coding (such as with Java or C++) a typical software project would take roughly nine months for a small to medium sized business application and two years for an Enterprise solution involving stricter quality control processes.